Here is a guide for most students can get a $50 free credit at DigitalOcean via the GitHub Education program. All you need to have are a valid school email address and a PayPal account (or Credit card). Beside the credit for DigitalOcean, you can also get free access to many best developer tools inside the Student Developer Pack such as Bitnami, AWS Cloud, Algolia, Heroku and many more. 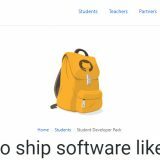 Visit to GitHub Student Developer Pack here, then click Join GitHub Education button on top right corner of the page. There will be 2 simple steps to finish the signing up, you just provide your information to the GitHub team, then they will review and approve your request if it’s qualify. Once approved, you will receive an email from GitHub that include the offer and discount codes for tools inside their Student Developer program, $50 digitalocean code will be listed there, let copy it. Visit to DigitalOcean here, create new account, verify your email. At the Billing section in DigitalOcean’s control panel, choice your payment method (Paypal or Credit Card) and fill out the form with the requested information. Then, click ‘Have a Promo Code?‘ at the bottom to paste the code that you was copied. Now you had $50 in account to deploy new vps at DigitalOcean. 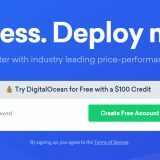 Please note that this DigitalOcean’s offer is only for new users, promo code for existing customers will be posted in next post. 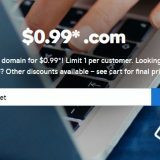 Beside, If you are not eligible on this deal, this is another chance to have $100 for new customers at DigitalOcean (do not requires an .EDU email). >>> View all digitalocean promo codes here.